A national survey saw 41 per cent of our voters admitting that their votes were influenced by distribution of cash and liquor, writes TJS George. Winston Churchill told us that it wasn’t polite to refer to lies as lies, that we should be cultured enough to call them terminological inexactitudes. But such phraseological definitudes do not apply to party manifestos in India’s hit-and-run democracy. BJP spokesmen call the Congress manifesto a pack of lies, and Congressmen describe the BJP manifesto as a field of falsities. Both are right. The only question is: Will a double dose of lies trick the Indian voter? Perhaps the question underestimates the voter. A national survey saw 41 per cent of our voters admitting that their votes were influenced by distribution of cash and liquor. That points to two virtues of the Indian voter. First, his honesty; he won’t cheat the suppliers of cash and liquor. Second, he doesn’t pay attention to the lies the parties tell. Knowing that they are lies, he pays attention only to things that are tangible, physical and consumable. The voters’ honesty also highlights the importance of money. 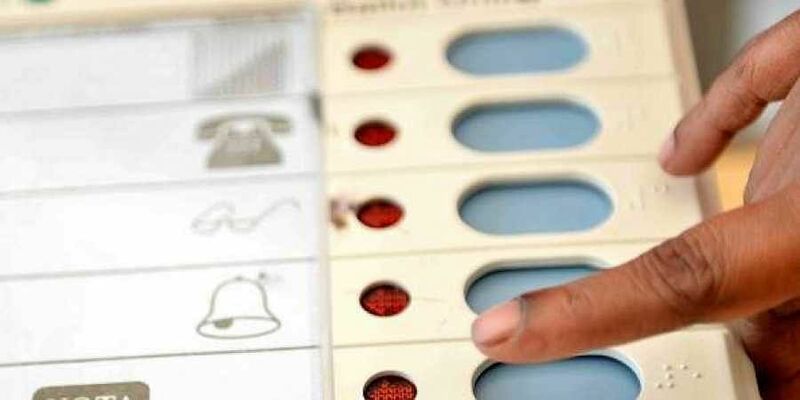 To ensure that the 41 per cent voters do their duty, small change won’t do. You need cash in gunny bags, almirahs, canvas containers, godowns. Hence the hundreds of crores that are being unearthed by income tax raiders. If you haven’t noticed already, all the raids have been in the homes of opposition leaders and their associates. No BJP leader has been raided because no BJP leader would handle black money. They are patriots, desh bhakts. Such being the ground realities, it may not be necessary to attach too much importance to a party manifesto. Obviously the BJP doesn’t, for it did not even pay attention to proof-reading. The result was that the BJP manifesto declared that it would make provisions in the law to “commit crimes against women”. Or maybe, it wasn’t a proofing error; may be the karyakartas were merely saying what they were trained to say. As a concession, however, they corrected the manifesto statement to make women feel a little better. The twin manifestos proved once again that all parties seek refuge in populism. Each party felt free to simply give away cash. The BJP’s PM Kisan Yojana was estimated to cost Rs 2 trillion, while the Congress’s minimum basic income scheme’s cost was put at Rs 3.6 trillion. Basically these are freebies. Where will the money come from and how bad will be the impact on the economy? The real difference between the two manifestos is that the Congress aims at the poor while the BJP aims at firing up nationalistic fervour. The Congress wants to ensure Rs 72,000 every year to 20 per cent households that come under the poorest of the poor category. The economic thinking behind this has won a measure of appreciation from professional planners despite its essentially populist nature. Their argument is that the Congress plan is doable without causing significant upsets in the overall economy. In contrast, the BJP manifesto emphasises security, defence build-up, anti-terrorist preparations and even a global programme for promoting yoga. Clearly the BJP is trying to cash in on the Balakot strike, a point the prime minister made obvious when he asked the youth to vote for India’s defence forces. “As if the army belongs to him,” said Mamata Banerjee. More significantly, former defence chiefs and civil servants publicly protested against pushing the army into politics. The PM’s statements were in violation of the code, but there has been no action. The BJP manifesto makes no effort to soften its hardline approach to issues it has already made combustible. Its inflexibility over Jammu and Kashmir and over the northeast states continues to make things worse in both areas. Ignoring India’s multicultural essence, the BJP is out to “mainstream” all stakeholders into its ideological straitjacket. Only the use of force can push such a policy forward, and the consequences of using force for such divisive ends could be catastrophic. The BJP is led by shrewd men. That they approach the elections without making any concessions to any group shows that they want things to go their way, no arguments please. Amit Shah misses no opportunity to maul the Congress. Noticing that the Congress’s Kerala ally, the Muslim League, was among those who cheered Rahul Gandhi when he filed his nomination from Wayanad, Shah said he couldn’t make out whether Rahul was in India or Pakistan. Imran Khan heard that in Rawalpindi and came to Amit Shah’s support. He said a BJP victory in the election would be welcome as it would lead to “some kind of settlement in Kashmir”. With Pakistan backing BJP, victory is assured.